Most women use makeup throughout their lives. Some use it every day and won’t be seen in public without wearing full makeup, including foundation, eye shadow, and blush. Other women just use makeup occasionally, or use one product regularly, like mascara. Whatever your preference is, a diagnosis of Celiac Disease or a gluten intolerance should not have to impact your ability to wear makeup! Whether you consider makeup just a fun thing to wear on the weekends, or essential to your everyday life, it’s important to know that the makeup you use will not impact your health and wellness. Prior to a diagnosis of Celiac Disease or gluten intolerance, most of us never even think about whether there is gluten in makeup. As most of you know, gluten is found primarily in wheat, but can also be found in rye, malt, oats, and barley. Makeup and beauty companies use these ingredients which are finely milled and then used in cosmetics as binders to help all of the ingredients stick together. Many cosmetics also use emollients in the form of gluten-derived oils. Most of us would not recognize these ingredients as ones that contain gluten. Therefore, it is important to choose a beauty brand that understands gluten intolerance and certifies its products as gluten-free. If you are really interested, the Gluten-Free Makeup Gal prepared list of over 100 ingredients that contain gluten and should be avoided. You might assume that since makeup is applied to your skin, it cannot cause gastrointestinal distress. According to the Mayo Clinic, gluten molecules are too large to be absorbed through your skin. However, it’s not that simple. 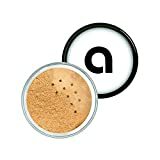 Makeup is often in a powder form, and this powder can be breathed in or end up getting on your hands where it can then be transferred to your food. If you wear lipstick, you might lick your lips occasionally, or food may pick up some lipstick as you are eating. Hand lotion could end up on your sandwich when you pick it up. Foundation, or pressed powder makeup could end up under your fingernails and then be transferred to your food. So, if you are trying to maintain a gluten-free diet and are still experiencing symptoms, it makes sense to limit all gluten products in your life, including makeup products that could contain gluten as well as hair care and skin care products. Here are four different beauty companies that offer gluten free makeup products. All of these products are available online, making it easy for you to order and try them in your own home. Afterglow was founded by Kristin Adams, whose mother and sister both have Celiac Disease. She watched them struggle to find gluten-free products, and when she decided to start up Afterglow Cosmetics, Kristin made sure that all of the company’s products were gluten-free. The products are all made in a 100% certified gluten-free manufacturing facility, so there is no danger of cross-contamination. They use Vitamin E obtained from cottonseed oil and organic olive oil, not from wheat. Afterglow’s products are also paraben-free, fragrance-free, use certified organic ingredients, and are perfect for sensitive skin. They offer a full range of products for the face, eyes, and lips. Though their products are more expensive than common store brands, the peace of mind that comes from using certified gluten-free makeup seems quite worthwhile. On their FAQ page, Ecco Bella states that “There is no gluten or wheat protein in any Ecco Bella product. All our products are safe for customers with celiac sprue.” In addition, Ecco Bella products are dairy-free, paraben-free, preservative-free, petroleum-free, and fragrance-free. Ecco Bella was founded as a protest against product testing on animals for the sake of cosmetics and its mission now includes a wide variety of products from organics and nutraceuticals. As an activist company, Ecco Bella sources their ingredients from ethical suppliers of organic and gluten-free materials, and they stay away from ingredients that can potentially cause harm to people or the environment. None of their products use any ingredients created from animals such as stearic acid, tallow, lanolin, dairy, or collagen. 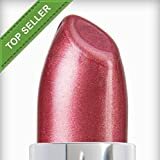 One of Ecco Bella’s most popular products is their lipstick. Reviewers think it is the cleanest, safest, prettiest lipstick around for those who love lipstick. It is made with a simple, healthy formula of vegetable oils, waxes, and mineral pigments that slide on very creamy and don’t feather. Like a lip balm, Ecco Bella FlowerColor lipsticks moisturize without flaking or chapping. All of the ingredients are gluten-free and certified organic. Ecco Bella offers a full range of makeup products for the eyes, face, and lips. They also offer anti-aging and anti-blemish skincare products, toners, creams, and serums. Ecco Bella’s body care line includes water-free herbal body lotions in three natural scents, all of which are gluten-free. Finally, Ecco Bella offers hair and scalp therapy products, including shampoos and conditioners. If you want a beauty brand that offers a wide variety of makeup, skin, and hair products, try Ecco Bella. Red Apple Lipstick offers a full range of beauty products including lip-gloss, liners, eye shadow, and mascara. But their most popular product is their stunning gluten-free lipstick. Gabriel Cosmetics was founded in 1992 as a botanical skincare company, influenced by ingredients derived from the ocean and homeopathic processes. As the company has grown, Gabriel Cosmetics now offers several different types of gluten-free and vegan cosmetics, marketed under the names Gabriel Cosmetics and Zuzu Luxe. Both product lines have been certified gluten-free by the Gluten Intolerance Group, which is an outstanding achievement. According to the GFCO’s website, their certification seal “stands for the independent verification of quality, integrity, and purity of products”. Key Ingredients & Properties: Infused with vitamins A and E, the unique plant based hydration system keeps skin supple and resilient, not oily. Naturally Sourced Ingredients | Aqua (Infusion Of Aloe Barbadensis Leaf Juice), Sesamum Indicum (Sesame) Seed Oil, Sorbitol, Oenothera Biennis (Evening Primrose) Oil, Persea Gratissima (Avocado) Fruit Extract, Aloe Barbadensis Leaf Extract, Simmondsia Chinensis (Jojoba) Seed Oil, Glycerin, Cetearyl Alcohol, Butyrospermum Parkii (Shea Butter), Crithmum Maritimum (Sea Fennel) Extract, Tocopheryl Acetate, Lecithin, Silica, Xanthan Gum, Kaolin, Iron Oxides, Titanium Dioxide, Potassium Sorbate. We are 100% Vegan Cruelty-Free Gluten-Free Non-Toxic. Suitable on all Skin types. 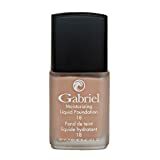 Gabriel Cosmetics offers a great selection of foundations, concealers, powders, blush, and primers. They also offer lipsticks, eyeshade palettes, and nail polish. Zuzu Luxe offers the same products but with a bit more pizzazz in their color selection. They also offer a fabulous liquid eyeliner and luxe lip gloss. If you have Celiac Disease or gluten intolerance, it’s great to know that you have a wide assortment of beauty products to choose from that are gluten-free. As you learn more about gluten-free living, it is important to try and reduce all traces of gluten from your diet and lifestyle. At first, this includes removing all gluten-free foods from your cupboard and learning to read ingredients so you can make smart choices. By selecting gluten-free makeup products from one of the companies listed above, you will ensure that you are doing everything possible to stay healthy and beautiful at the same time! Have any other great gluten-free makeup tips or brands? If so, let us know below!